This page will contain UK family photographs. Many will also be found throughout the site but this page will act as a repository of all the photographs. Click on a thumb nail picture to see a bigger picture and some text. 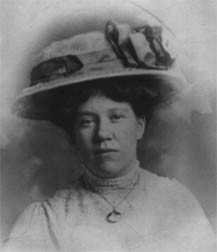 Elizabeth was married to Alfred Studd. They had 11 children, including Albert Studd who was to leave his pregnant wife and go to Canada. Here he created another family - see "A Tale of Two Alberts". The photograph above shows Elizabeth with her two youngest daughters. This photograph was probably taken earlier than the photograph above. Elizabeth was born in 1844. She and Alfred were married on 28 October 1865. Keziah was born in 1886 and married Albert Studd on 4th February 1910. Their son, also Albert, was born in June 1910. By this time Albert had gone to Canada. 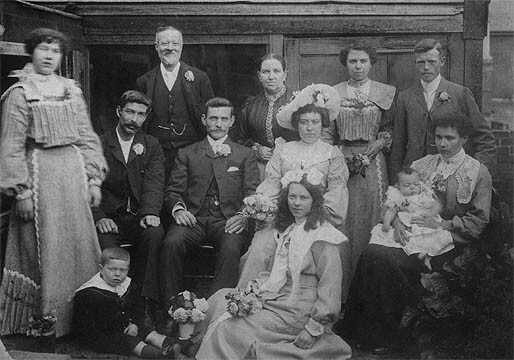 In the photograph below Keziah is standing at the extreme left. The photograph of Keziah on the near right was probably taken in the 1960s. She married again in the 1920s and had a daughter: Violet. As an older woman she married a further three times - five in all. 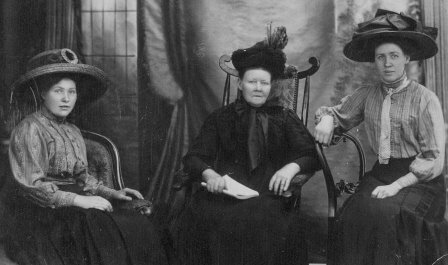 The photograph on the far right shows Keziah with one of her later husbands. Albert joined the RAF in 1930 and left in 1938 - only to be recalled in 1939 for the duration of the war. Between 1930 and 1938 he served in Iraq. The photograph on the right was taken during his time in the middle east. Albert was the son of Albert and Keziah Studd. The photograph on the far right was taken on their wedding day 28 October 1938. 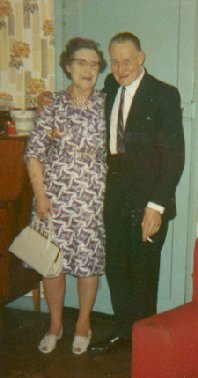 The photograph below was taken in the 1960s, the one on the right in the 1970s - still a happy and loving couple!